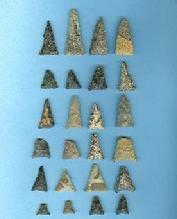 CCR completed an archaeological data recovery at Site 31CH758, an early Late Woodland Uwharrie phase (A.D. 800-1200) site in the Piedmont region of North Carolina. This single-component site was encountered within a narrow floodplain terrace above the Rocky River and presented an excellent example of preservation due to rapid accumulation of alluvial suspension deposits. CCR identified the site, along with more than 30 others, during survey for a proposed reservoir expansion project for the Town of Siler City. Several of the surveyed sites were intensively evaluated, but only 31CH758 had the level of preservation and information potential to warrant National Register of Historic Places eligibility. 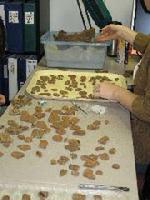 The data recovery excavations sampled an intact paleosol yielding evidence of a small Uwharrie phase camp related to seasonal subsistence procurement. The paleosol contained relatively undisturbed refuse scatters and in situ ceramic concentrations. 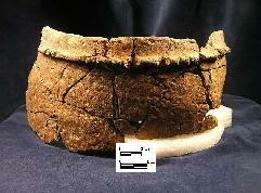 The project included detailed documentation of the Uwharrie series ceramic vessel assemblage.